As is known to all, people will visit the most beautiful Christmas Markets every year before Christmas. The festive period, and the season of Christmas market, is almost upon us. Large or small, each market reflects the culture of the region – food, drink, music and more. And there are so many Christmas markets for you to choose, you are more than one hundred and eighty thousand to vote and make your opinion count. 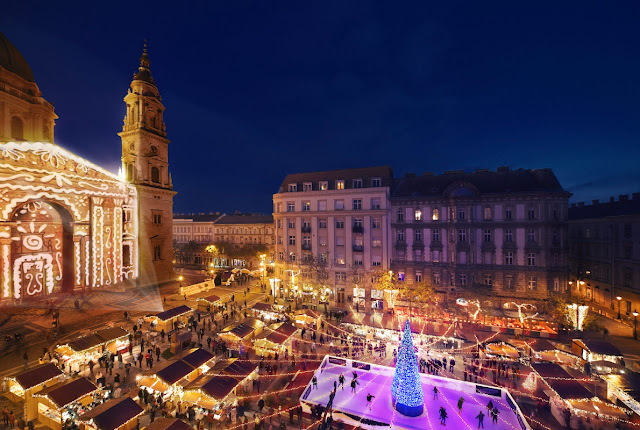 Congratulations to the 5 destinations selected by travelers for the quality and reputation of their Christmas market! Reward twice “European Best Christmas Market” in 2014 and 2015, Strasbourg is the capital of Christmas in France. 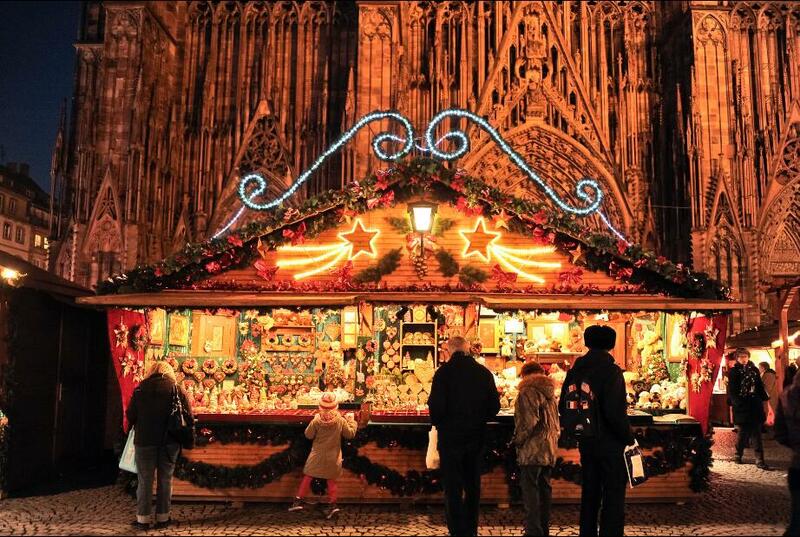 The oldest Christmas market in Europe, the Christkindelsmärik was first held in Strasbourg in 1570. You will find 4 outstanding Advent concerts, a Living Nativity and a wide range of authentic live music and cultural events. It’s the perfect opportunity to go on a cultural trip through time! 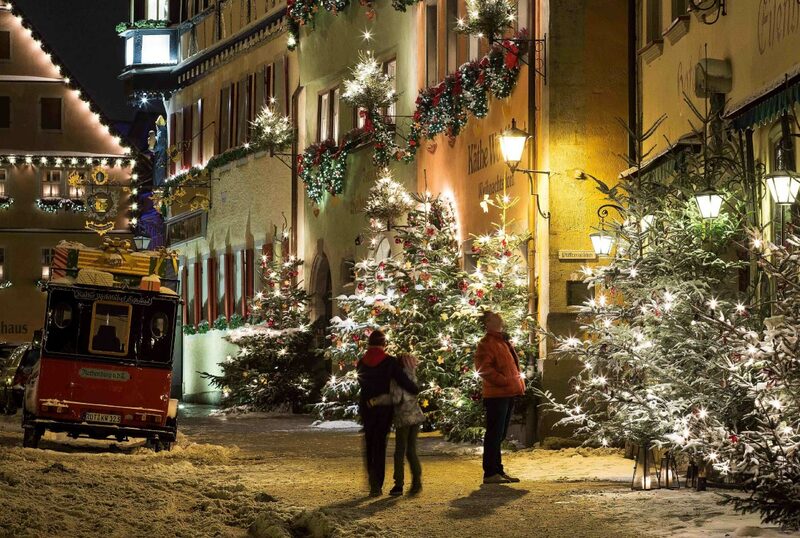 Once a year, the medieval town of Rothenburg ob der Tauber transforms itself into a fairytale winter wonderland. Ever since the 15th century, the festive time prior to Christmas has been accompanied by a delightful Christmas Market. Prague’s old town square, Starmestske namesti, has a stage – set nativity scene, a huge tree and daily performances by folk bands and choirs. Comb the stalls – both here and in neighboring Wenceslas Square – for carved wooden toys, Bohemian crystal, garnet jewellery and traditional straw and maize decorations. 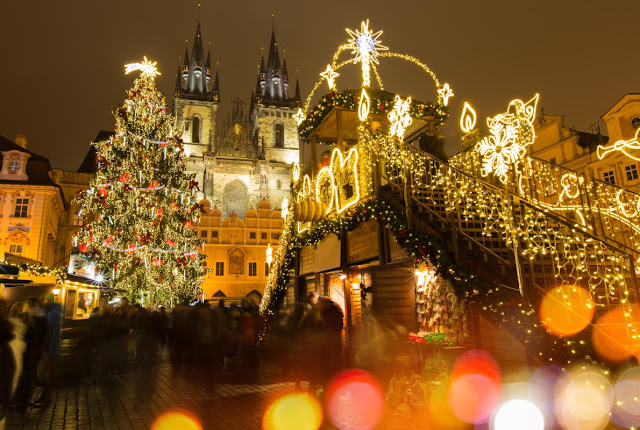 In contrast to some bigger markets across the Europe, the Prague Christmas Market is sort of familiar, which makes the whole experience more intensive. Visitors to Budapest will find 100 wooden pavilions in Vorosmarty and St Stephen’s Square. Among the piles of sweet Hungarian pastries are crocheted items, traditional fur hats and gloves, pressed-flower jewellery, “good-luck” garden pixies and handmade chocolates and honey cakes. You can even commission a made-on-the-spot iron candelabra. Vienna’s Christmas-market tradition goes back to the 13th century. It now has around 10 markets, with more than 150 stalls filling the Rathausplatz in front of the neo-Gothic City Hall. 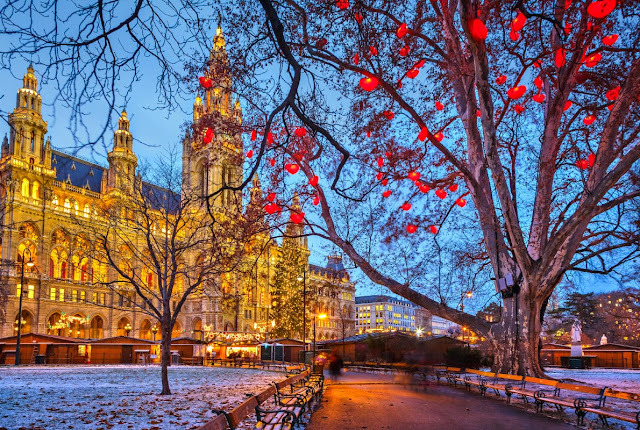 One of the most well-known Christmas Markets is the traditional "Vienna Magic of Advent", which turns the City Hall Square into a shining fairytale land. Christmas gifts, tree decorations, sweets and warming drinks are awaiting you as well as a carousel and craft fun Christmas Workshops for kids. So, how to find the Christmas markets in China? This year a group of expats and well known members of the food and beverage community have come together to bring the traditional German Christmas market experience to Hangzhou. The market opens on Friday 16th of December 5pm-9pm and continues on Saturday and Sunday 12pm-9pm at Wake town at number 9 wuling road. There will be over 30 stalls selling everything from waffles and mulled wine too handmade jewelry and flowers, and magicians for the children, dancers, musicians, DJs and a HoolaHooper. The biggest attraction at the market will be the Santa’s Grotto which gives you the unique opportunity to meet Father Christmas himself! Come on and Join us without any hesitation! And please kindly follow our facebook, linkedin or twitter for more information.